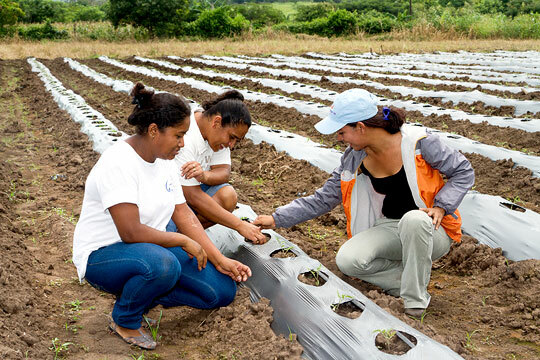 In honor of International Women’s Day, we share a story about an inspiring woman in Nicaragua who has found independence and self-sufficiency through farming. 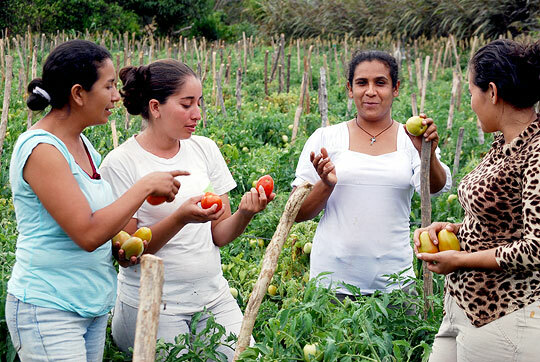 In honor of International Women’s Day, we’d like to share a story from our 2012 Progress Report about an inspiring woman in Nicaragua who has found independence and self-sufficiency through farming. Ivania Ruiz Balmaceda (second from right) talks with other members of a women-run cooperative in Las Delicias, Nicaragua. TechnoServe has helped Ivania and other women in the community learn farming and business skills that have created new income for their families. When Ivania Ruiz Balmaceda lost her husband in a car accident 12 years ago, she faced a desperate situation. Like most women in her town of Las Delicias, Nicaragua, Ivania had focused on keeping a good home and raising her children while her husband supported the family. Now, alone, Ivania struggled to piece together a living, picking crops on her neighbors’ farms and borrowing money in order to feed her children and keep them in school. 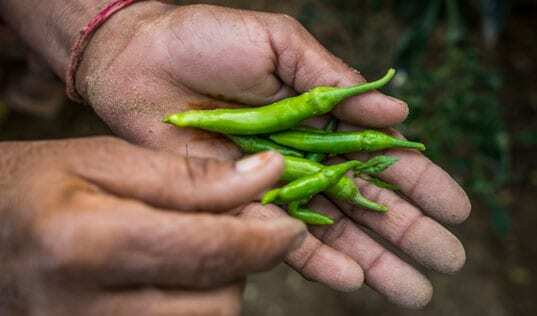 In 2010, TechnoServe began working with a group of vegetable farmers in Las Delicias – all men – to improve the quality of their produce and connect them to better markets. TechnoServe advisor Elia Moreno noticed that many of the women worked on the farms just as hard as their husbands. She began training a group of women to grow their own crops. Ivania was one of these women. She learned how to produce vegetables that would meet the quality standards of a major supermarket chain. The women also learned business skills that helped them run their own cooperative. In 2011, Ivania harvested her first tomatoes and earned $2,000 – money that she used to send her three daughters to school, buy a refrigerator and invest in her farm. Ivania’s story demonstrates why women are the linchpin in the effort to end global poverty. When women are given the opportunity to earn income, they gain influence within their households and communities. Women spend the money they earn on nutritious food, education and medical care – exactly the type of investments that bring about long-term benefits and help families break the cycle of poverty. TechnoServe advisor Elia Moreno (right) shares knowledge with Ivania (center) and Oneyda Matamoros. Promoting economic opportunities for women is a critical step toward breaking the cycle of poverty in developing countries. 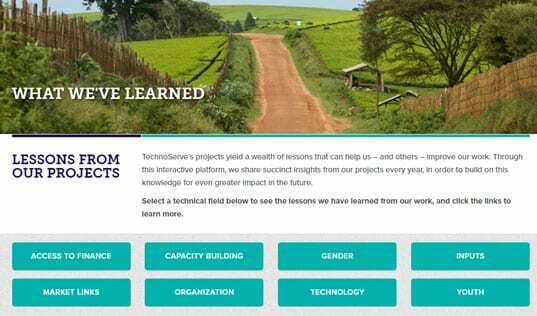 For these reasons, TechnoServe is promoting economic opportunities for women in developing countries. We are working to equip women entrepreneurs with the skills they need to run thriving businesses in places such as Uganda and Guatemala. In farming communities, we are helping women to increase their incomes and take leadership roles in industries such as coffee and fruit production. Through this work, TechnoServe helps women improve their families’ lives, regardless of the barriers they face. These efforts can help more women like Ivania to close the gender gap and control their own destiny.